The thing with wool appliqué, you can collate little pieces of varying colour with different coloured threads, and create a whole picture of richness and texture. We have some new Moda Scrap Bags available in store and they may be perfect for you if wool appliqué is the thing you fancy. The wool scraps are of varying sizes, approximately 5" x 4" and smaller, and the bags vary in colour. 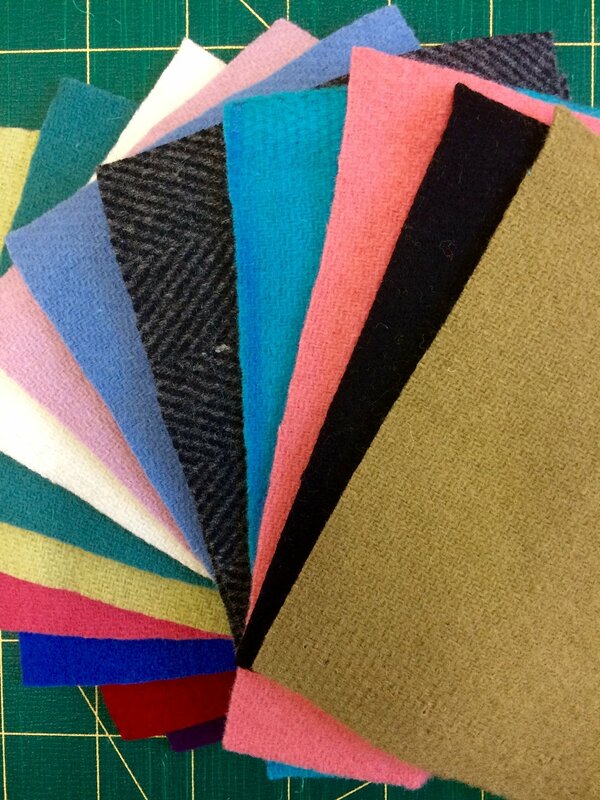 Helen let me open the scrap bag she bought so that I could show you all of the beautiful colours. And there's still more from Helen's scrap bag. This bag seems to be more of the cooler colours.